We invite you to bring your family to celebrate your reunion with ours! 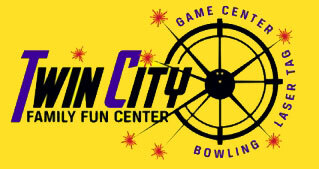 Our name says it all - you’ll find fun for the entire family as soon as you walk through the door at Twin City Family Fun Center. We’ll provide hours of entertainment, plenty of space to enjoy games, conversation, and photos. Plus,we can create the perfect menu for your group - a full meal or lots of great finger foods! Whether 10 people or 100, we will help you make your family reunion one to remember. Contact us to discuss all of the details to make it perfect! Your rehearsal dinner must include food and casual social space, we can definitely provide that, and we can give you tons of post-dinner fun! Kick off your wedding in the most memorable way possible - a little laser tag competition between the in-laws or maybe some bridesmaids v. groomsmen bowling? No need to bring a photobooth, music, food, or drinks - we’ll have that all covered! You just need to come and celebrate… the rehearsal dinner can be just as much fun as your reception. Contact us to plan the ideal kickoff to your wedding celebration! We love to celebrate! More importantly, we love to watch you sit back, relax, and celebrate incredible achievements and milestones. A young adult’s Bar/bat mitzvah is definitely a reason to party and we have you covered! Schedule a time to meet with one of our party planners and design an event that will be unforgettable. Pick just the right food, music, and activities and we’ll make sure it’s awesome. We promise your guests of all ages will be busy having fun from start to finish. Contact us to arrange the perfect gathering. We won’t tell anyone that you’re planning to have the best party ever! Everyone loves a surprise party… and it’s much easier to pull off when you don’t have to manage the logistics and the location is one that everyone already wants to visit (you won’t have to drag them or make up crazy excuses to get the guest of honor to show! We’d love for you to let us help you plan every special detail so you can throw a top secret party - the guest of honor and all your guests will have the time of their life! Contact us to book your date and arrange all the special details. Someone special having a baby or getting married? Host with Twin City Family Fun Center and they’ll be no need to for silly party games (though we certainly won’t spoil that fun if you want them! ), there’s plenty of fun elsewhere in our center! Bowling, laser tag, and arcade games make for a super memorable gathering! Guests will have plenty to do as the guest of honor mingles before opening presents. 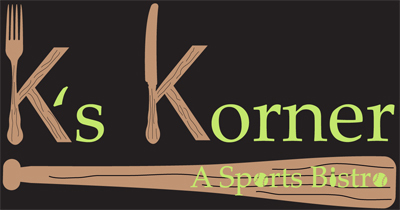 Tons of great food options and plenty of casual or semi-private party space. Consider hosting a co-ed Jack and Jill shower too - it won’t be awkward when there’s something for everyone all in one building! Our options for you are endless. Call us today to book your shower at Twin City Family Fun Center!